onda Motorcycle and Scooter India (HMSI) has released the new television commercial (TVC) for the latest upgrade of their most affordable motorcycle in India – CD 110 Dream (DX). Developed by Dentsu Marcom, a Dentsu Aegis Network Company, the TVC is running on air across all popular channels, and has received excellent response from the viewers. CD 110 Dream (DX) with its unmatched legacy of nomenclature ‘CD’, has made space into the lives of the utility seeking customers by adding convenience and comfort to their day-to-day life. 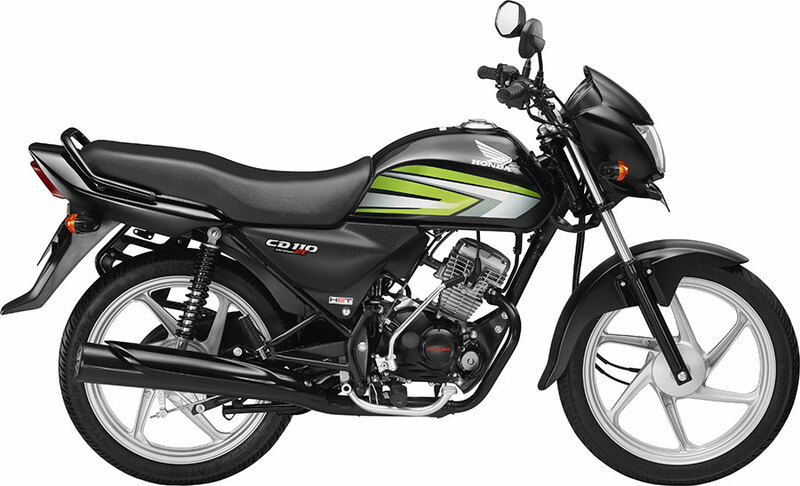 Honda introduced a new variant with self-start and refreshing new colour options in CD 110 Dream (DX). The objective of the TVC is to sustain the aspirational value and strengthen the product identity with its new self-start variant and contribute to further consolidating Honda’s share in the 110cc motorcycle segment. The agency was asked to create a narrative that further builds upon the existing communication of Trust and Legacy, while at the same time, strengthen the product identify with its new features and color addition. The target audience of CD 110 Dream (DX) are men residing in rural or semi urban cities in the age group of 20-35 years; comprising of salaried, self-employed, shop owners, farmers, skilled workers, etc. In this context, the communication approach aimed at bringing in the new self-start variant of CD 110 Dream (DX) for the consumer who has varied needs and motivations through the point view of the end user. The new CD 110 Dream (DX) is positioned as a catalyst to enable its users ‘go a notch higher in life’. The film conveys that the new CD 110 Dream (DX) is made for those who look forward to make an addition to their existing bag full of qualities. The ad film opens with a tour guide sitting on his CD 110 (DX) with a smart phone in his hand, trying to learn Japanese while a group of Japanese tourists arrive and the other tour guides approach them. They try to communicate with them using gestures and signs but the tourists feel uncomfortable. The protagonist addresses them in Japanese which impresses them and hire him. In the second sequence, a farmer with the beautiful lush green mustard field in the background is shown majestically riding on his CD 110 Dream (DX) with an evaluator from the ‘Krishi Udyog Kendra’ as his pillion. They enter the farm where the evaluator tests the soil quality. It carries forward a progressive farmer’s approach to get his field’s soil quality checked and to get the maximum benefit of the crop yield. In the third sequence, a grocer standing outside his grocery shop is leaning on his CD 110 Dream (DX). He looks up at the board of his shop which says ‘Ravi Kirana Store’ is being brought down in place of a new board – ‘Ravikirana.com’. He is catching up with the e-commerce trend and looking at his smart phone, smiles as he receives his first order on his mobile application. Finally, the three CD 110 Dream (DX) owners i.e the tour guide, the farmer and the grocer, who were already doing good in their professions but have worked hard to add an extra quality to it, are seen riding their new bike in full glory. The film ends with a tagline “Khoobiyon mein ek aur khoobi” i.e adding another quality in the bag full of qualities. CD (DX) has a legacy of almost two decades and has been the first choice of hard-working Indians since its launch. It is as honest and reliable as its riders. As the country is progressing, people are adding new skills to their repertoire and Honda has also added the self-start feature to their much loved CD (DX) and hence the idea –‘Khoobiyon mein ek aur khoobi’. The TVC is an ode to these ‘self-starters’ of India.